1. He published his first book when he was twelve. 2. He is a talented and exuberant teenager. 3. He loves speaking in schools to his peers. 4. He agreed to finish my sentences. I wrote the words in orange, and Jake wrote the words in black. Thank you, Jake! 1. Jake is not a big fan of the “outdoors”. Caterpillars, slugs and especially beavers scare the bejeezuz out of him. However, to prove his doubting father wrong, Jake risks everything and agrees to attend Camp Wild Survival hosted by adrenaline junkee and TV survivalist THE Thunder Banks. 2. 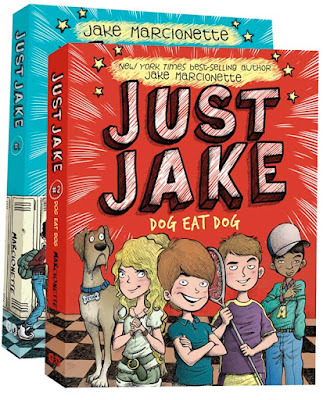 Having moved 6 times in 7 years, Jake is used to being the dreaded “new kid” at school but despite his confidence, calculations, and overwhelming AWESOMENESS, deep down, Jake is an insecure 6th grader who fears rejection. And sudden, unprovoked attacks from his diabolical sister Alexis. 3. 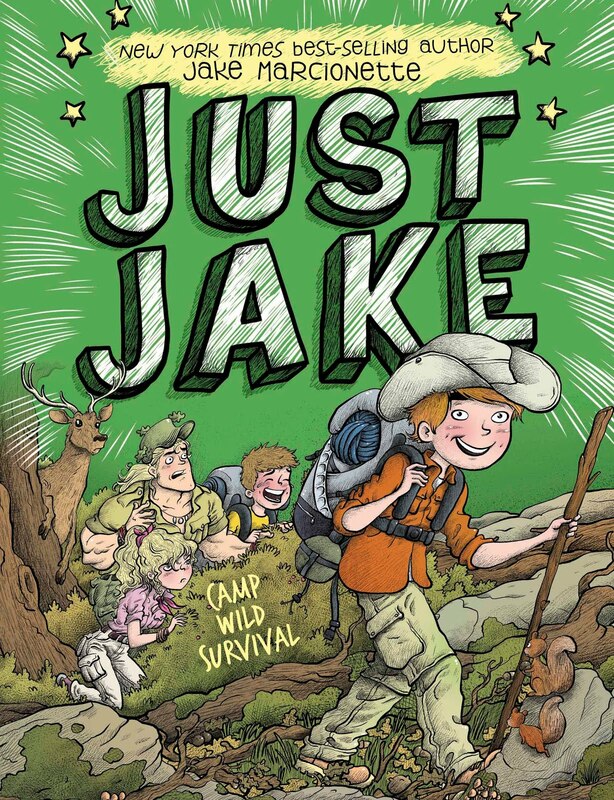 Camp Wild Survival is a turning point in Jake’s relationship with his father. Although Dad doesn’t care for Jake’s utilization of social media and technology, they endure the harshness of camp together thus establishing mutual respect. But which one of them quits the final camp challenge leaving the other to deal with power hungry Alexis and her Quad minions? You’ll need to read to find out. Kinney Elementary School is Jake Mathews’s new school in Maryland and is rightly named to pay homage to the guy who inspired a 12-year-old kid to think big, chase his dreams (not be wimpy!) and write stories for young readers who aren’t interested in vampires, gossiping cliques or predictable mysteries. The cover illustrations for the Just Jakes series are the handiwork of the incredibly talented, freelance illustrator extraordinaire, Victor Rivas! Give him a follow on twitter: @VictorRivasV. I’ve appeared on The Today Show, CBS Evening News, and a fair few other news programs, but, the appearances I’m most proud of are the ones I’ve made at elementary and middles schools across the country where I get a chance to talk to kids about writing, being the best they can be, and finding their passions. I make it a point to try to connect with each student in the audience because I know there is something great within all of them. And if I can play a role in putting just ONE kid on the right path then I can think of nothing greater or more rewarding. 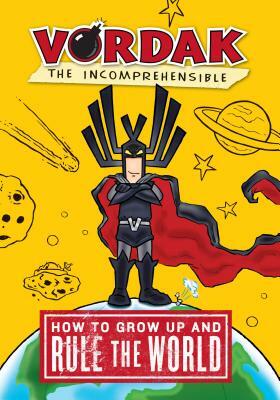 Have you read Vordak the Incomprehensible? If not, you should. Personally, I think Scott Seegert is a genius. His stuff is so good and Vordak is so evil in the funniest of ways. Muaaahhaaahaaa! I think school libraries are the lifeblood of a young learner’s foundational literacy. And not that muggle, half-blood stuff, I’m talking real, witch and wizard stock filled with mysticism, spells, and adventure. The continued role the library, AND the librarian, play in getting books into the hands of kids is invaluable and something which tends to be underappreciated. I visit enough school libraries to know the critical function they serve but they need the continued support of administration, teachers and parents with respect to funding, visiting and connecting. Reading is much more than fundamental...it’s everything. Not only is it the key to innumerable adventures, reading unlocks and jumps starts your own creativity. 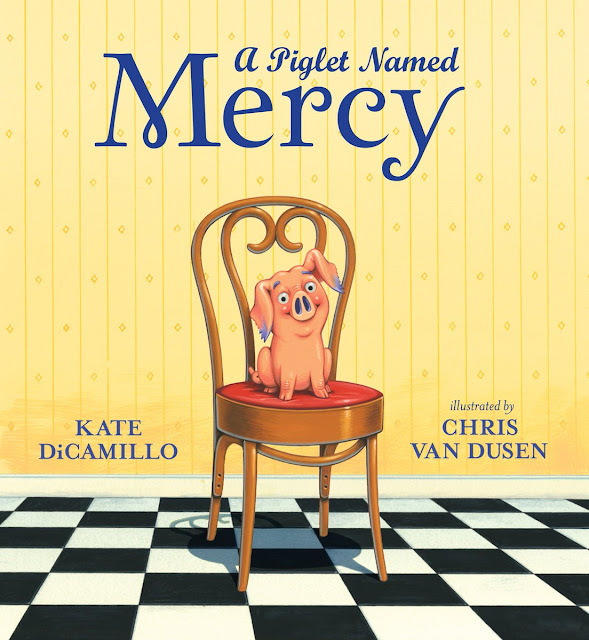 I get the allure of today’s interactive society and the excitement video games provide but nothing can replace the impact a great book can have on a young mind. But without parental oversight and insistence, great books are finding it harder to get into the hands of impressionable learners. Libraries and librarians can just do so much. I hate to point fingers, BUT, moms and dads really need to step-up their game and insist Junior put down the controller and Sally gets off her iPhone. It’s time to read. 1. Write everyday. My new series (Q Quads) needs me and it deserves my undivided attention. 3. Laugh more. Tweet more (@JakeMarcionette) Eat many cookies. 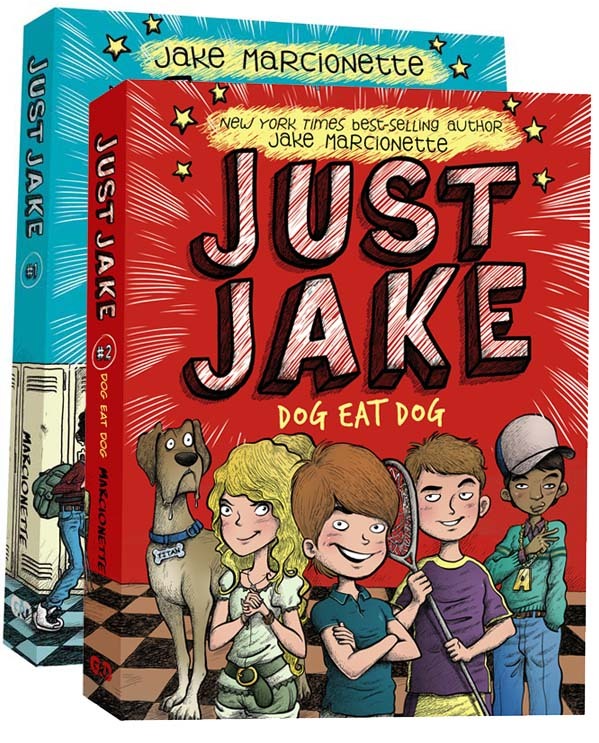 Borrow the Just Jake series from your school or public library. Whenever possible, please support independent bookshops.